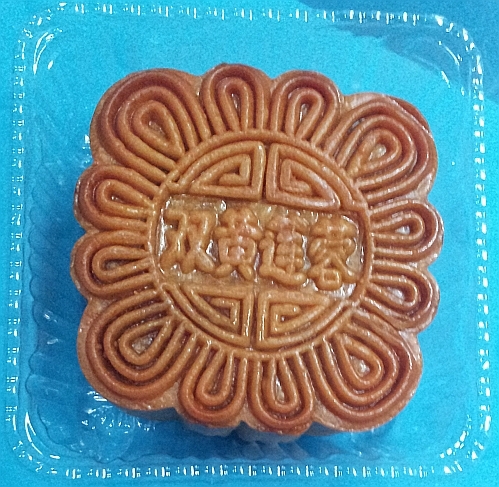 Moon cakes festival is long over for this year but I just finished eating the last moon cake in my fridge. My motto is as long as it smells and tastes ok, I am not bothered by the best-by-date printed on the packaging. 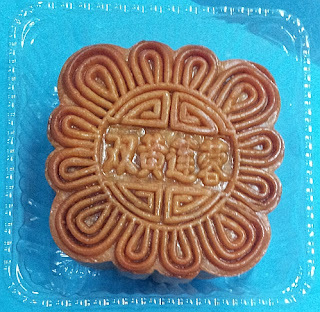 The type of moon cake (双黃蓮蓉) is carved into the wooden/plastic mould/mold so the words appear clearly on it. After 15% discount, this moon cake costs about MYR16 and looks better than the budget moon cake I had earlier despite one of the two salted egg yolks is not as round as its neighbour. Bye bye moon cakes, till next year! the wooden mold/mould is beautifully carved! now all prices especially prices of houses have gone up. We still have a few. Need to finish them up soon too! nice! can slowly savour them! 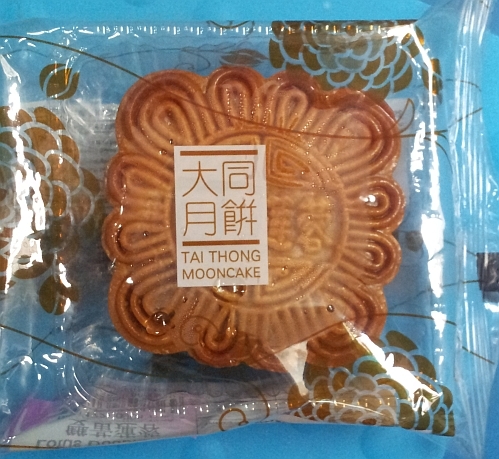 Wah you still have mooncake to eat! Next year, I will do the same. Buy and then keep in the fridge. next year I will buy more double yolks ones to keep in the fridge. I have exactly this brand double yolks mooncake too. I love it la! Yes, double yolks mooncakes taste superb! 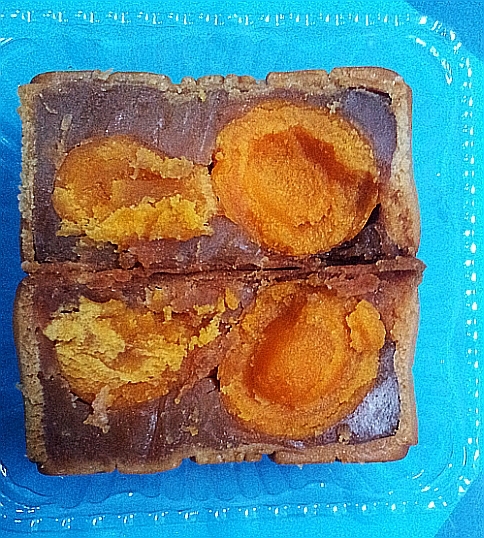 I love double yolk moon cakes! Have to wait till next year! They sure are tasty! Yes, got to wait almost one whole year! High 5! I don;t follow expiry dates too. In fact those in the fridge could last another 1-2 years after expiry. Agree with you. Especially if the item has been sitting in the fridge.